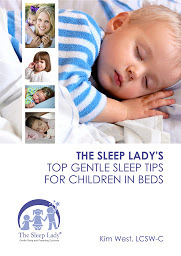 Secret #12 -Your Baby will rest best in a “sleep-friendly” room. Its fun to decorate nursery: the sweet bedding! adorable toys! lovely shower gifts! But remember, the whole point of a nursery is for baby sleep. Walls painted soft, neutral or pale colors. A dimmer on the overhead light or lamp–so you won’t have to perform those wee hour feedings and diaper changes under glaring lights. Thermostat set between 68 and 72 degrees Fahrenheit. A white-noise machine, especially if you have older children, a dog that barks a lot or if you live in a noisy neighborhood. A crib with a firm mattress. Keep stimulating toys, like black-and-white mobiles, out of the crib.